Trailmakers 0.7.3 - The Happy Holidays Update! The winter holiday season is the perfect time to relax under a blanket , drinking hot cocoa, reading a book, and maybe with a renewed Trailmakers? This update is smaller than the past, but it has some new interesting features that we hope you will enjoy. If you need to do something else during the holidays, visit Trailermakers competition [www.playtrailmakers.com] where you can win blue yeti. Ho Ho Hoooold up... is that snow falling in the Danger Zone?! NEW: Helicopter Engine v2 - The engineers have finally managed to put nubs on top of a helicopter engine. Truly a groundbreaking innovation. NEW: 2 *Secret* Blocks - The first present is quite heavy, and it has the same shape as something you already own. 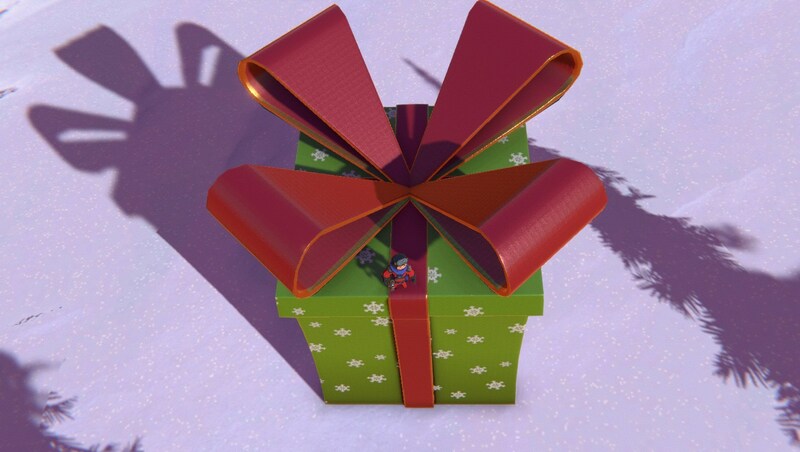 The second present is small and shaped like a T. Log in between December 1 and December 9 to find these blocks in the Danger Zone. NEW: 3 *Secret* Blocks - Three almost identical presents rattle with a metallic clang when you shake them. Perhaps they are part of a set? Log in between December 10 and December 16 to find three new blocks in the Danger Zone. NEW: 3 *Secret* Blocks - The first two small presents rattle when you shake them. The third present is warm to the touch! Log in between December 17 and December 31 to find three new blocks in the Danger Zone. Fixed an issue where detached seats would become immune to damage. Fixed a goal scored in the Carball Arena rewarding two points. Fixed spawn rotation and mirroring on several blocks. Removed the underwater cactus in Race Island. Smoothed out the Danger Zone roads. Made an invisible ramp in Expedition appear again. Fixed some blocks returning to default profile colours when becoming scrap. Fixed an issue with pooled blocks becoming too large. Fixed a stuck in build mode bug related to repairing and respawning at the same time. Fixed an issue with structures that had too many weld points. Fixed a crash when respawning in big structures. Fixed some collision on the Danger Zone carrier. Numerous fixes to our new Multiplayer framework. Fixed occasional server side crash occurring when a client disconnects. Fixed rare serverside crash while starting up a new server. Fixed server side crash when respawning while sitting inside a large structure. Fixed server side physics crash when trying to enter build mode on very compact structures. Fixed server side crash when loading and deleting a lot of structures in the same build session. Fixed a "Stuck in build mode" when simultaneously repairing, respawning and entering build on the same structure. Fixed an infinite loading screen when network times out while joining a remote server. Improved client side load time so that network timeouts occur less frequently when joining remote servers.